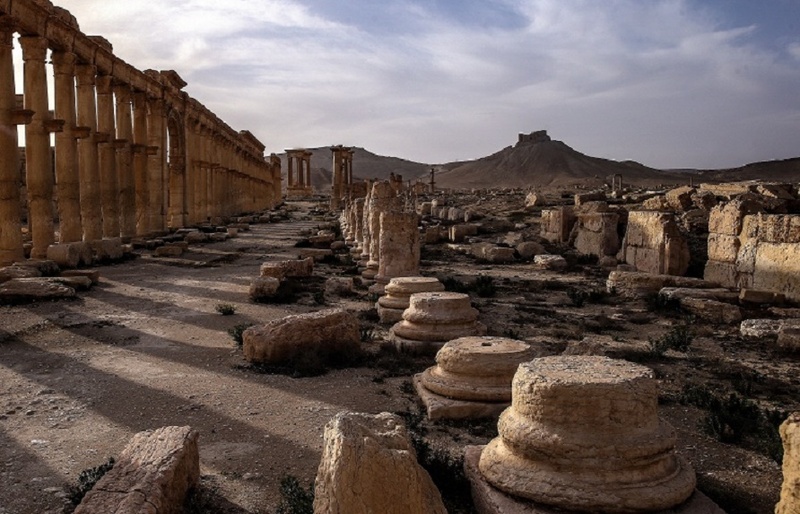 The Executive Council of the United Nations Educational, Scientific and Cultural Organization (UNESCO) has unanimously adopted a Russian-drafted resolution on the role of UNESCO in restoring and preserving the ancient city of Palmyra and other Syrian heritage sites. On March 27th, units of the army in cooperation with popular defense groups restored security and stability to Palmyra and established control over the archaeological city and the airport after fierce fighting during which ISIS terrorist organization suffered heavy losses in personnel and munitions. ISIS terrorists had inflicted deliberate acts of vandalism on historical structures and landmarks in Palmyra, including tomb towers, the Arch of Triumph, the Temple of Bel, the Temple of Baalshamin and the statue of the Lion of al-Lat. The council’s secretariat said in a statement that the Russian-proposed draft resolution was unanimously adopted Tuesday evening, RT reported. The resolution titled “On the role of UNESCO in restoring and preserving Palmyra and other Syrian cultural heritage sites” was put forth last Friday within the 199th session of the organization’s executive council which opened in Paris on April 4 and is set to last until April 15. Russia’s Permanent Delegate to UNESCO Eleonora Mitrofanova said the draft document includes primarily required steps to define the cost of reconstruction of Palmyra and other Syrian heritage sites, pointing out that work can start once security conditions allow that. “The United Nations demanded security for its experts working in such historical sites,” Mitrofanova indicated. She pointed out that Russian President Vladimir Putin proposed that Russia provides security for the experts who would go to Palmyra, and said the best way to do that is to have assistance from specialized experts at Beirut office and the Regional Center for World Heritage in Bahrain. Mitrofanova noted that UNESCO has established a fund for reconstruction in Syria and has collected Euro 2.700 million so far, indicating that the expenses of restoration would not be from the UNESCO budget. Earlier, Syria’s Permanent representative to UNESCO, Ambassador Lamia Shakkour, said at the 199 session of the UNESCO Executive Council that Syria is ready to join the UNESCO in its efforts to restore the ancient city of Palmyra after it was recaptured from ISIS terrorist organization and called upon friendly countries to mobilize efforts in order to preserve and revive the cultural heritage of this historic city.